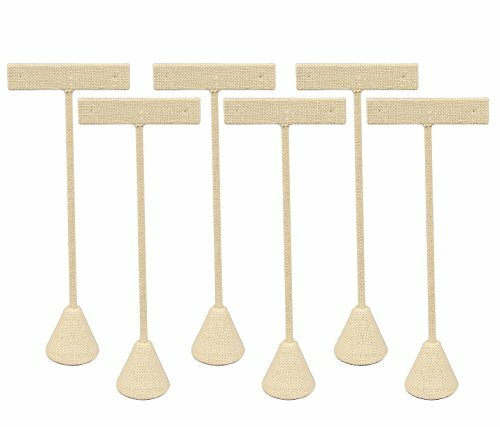 These beautiful linen T stands display will proudly display your earrings whether in a showcase, countertop, business, tradeshow, homeshow, or even your bedroom. Measures Approximately 2" x 4.75 or 5.75" or 6.75"H. Our Earring T's are of the best quality on the market with a solid 2.65oz Base that keeps the display from tilting. Sold in package of 6 for better pricing. If you have any questions about this product by Nic'e Packaging, contact us by completing and submitting the form below. If you are looking for a specif part number, please include it with your message.